A beautiful blue shaded love quote image to update as your whatsapp dp or share it on FB wall or any social media pages. If you have fallen in love but searching for a right way to express it out, then this is the one for you. 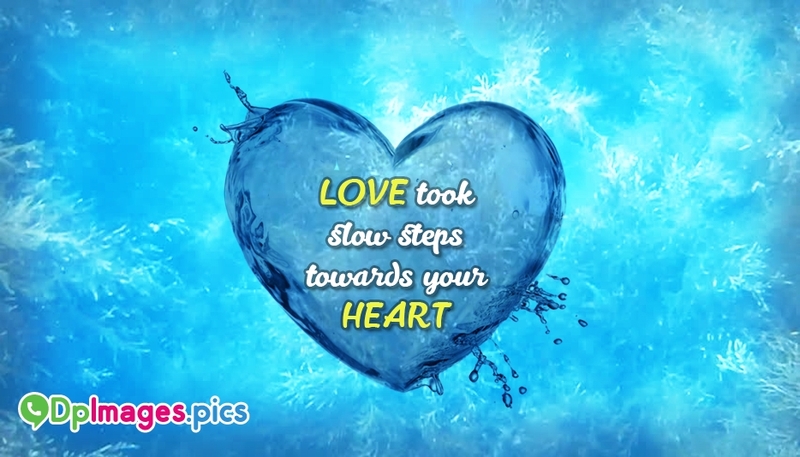 The image with the message "Love Took Slow Steps Towards Your Heart" is available for free download.